Roasted Beef Tenderloin is a showstopper! 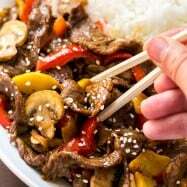 This tried and true method is easy (no marinating required), and produces melt-in-your-mouth tender and flavorful beef. 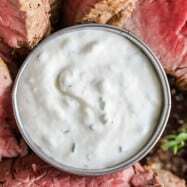 Pair it with creamy horseradish sauce for an unforgettable dinner. This is a special occasion recipe, perfect for a date night in or Valentines Day. 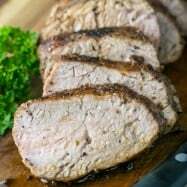 It is on the same level as our popular Filet Mignon in Cream Sauce, succulent Broiled Lobster Tails or the ever impressive Prime Rib. 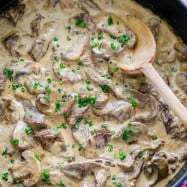 We included Amazon affiliate links for tools used in this recipe. 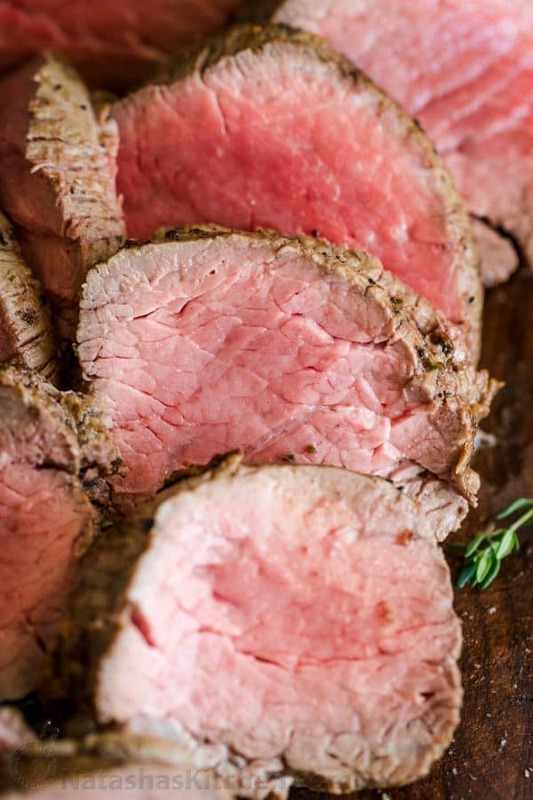 A filet of beef is a pricey, but don’t let that intimidate you. 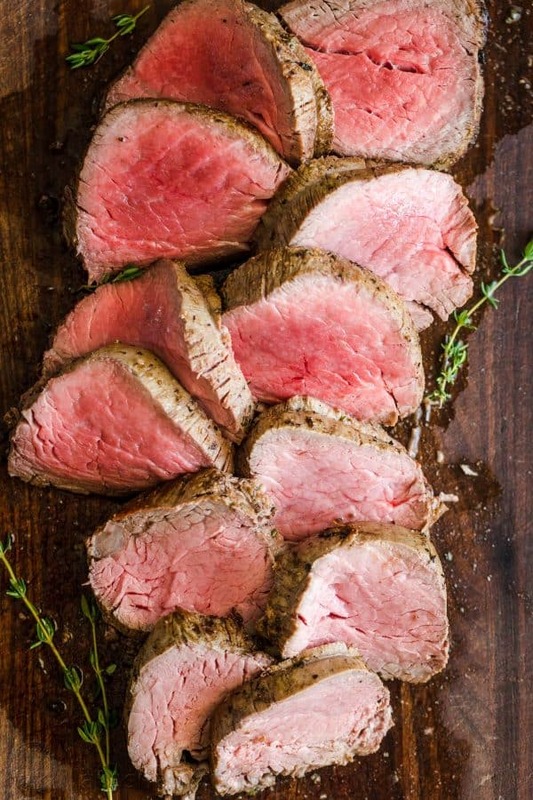 We’re sharing everything from how to trim, tie and how to cook beef tenderloin. Watch the video and you will realize how easy it is to achieve restaurant quality results. 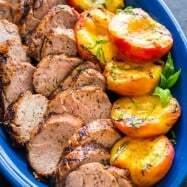 This beef tenderloin is fork tender and every bite has fantastic flavor from the garlic herb crust. Adding horseradish to the rub adds another subtle layer of memorable flavor (don’t skip it!). 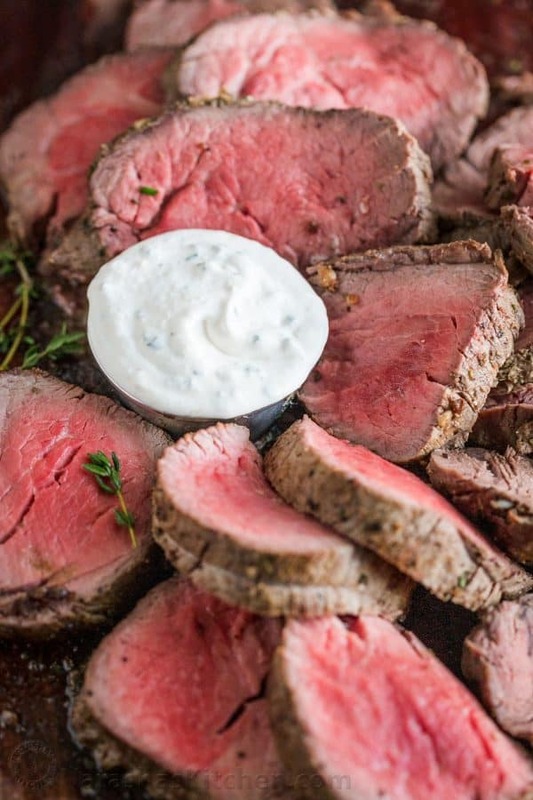 If you see shiny “silver skin” on your beef tenderloin, you will want to trim that away as it is fibrous and chewy connective tissue that won’t allow flavor to penetrate your tenderloin. 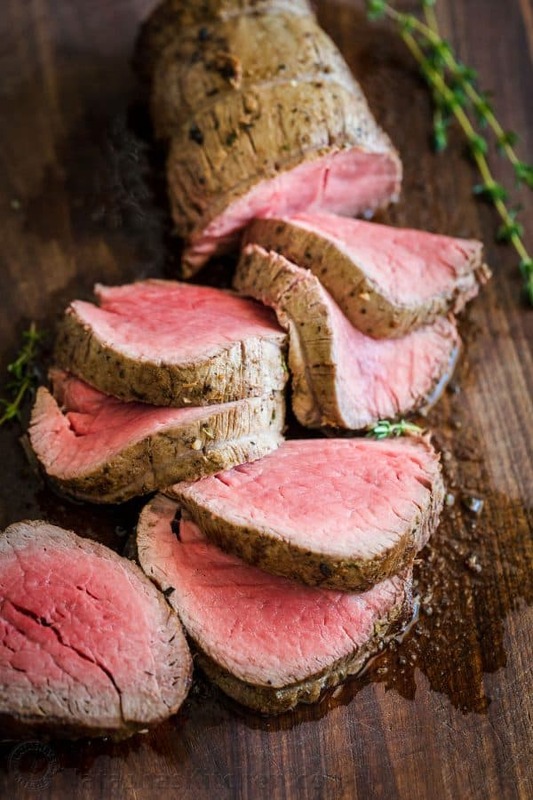 *Also trim away excess fat from tenderloin – unlike most steaks, fat is unnecessary on beef tenderloin. 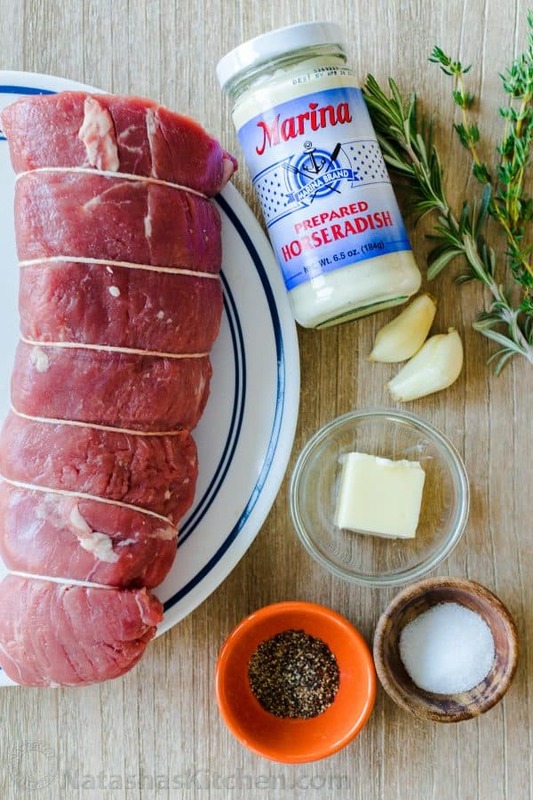 Tying a tenderloin is important for even cooking. 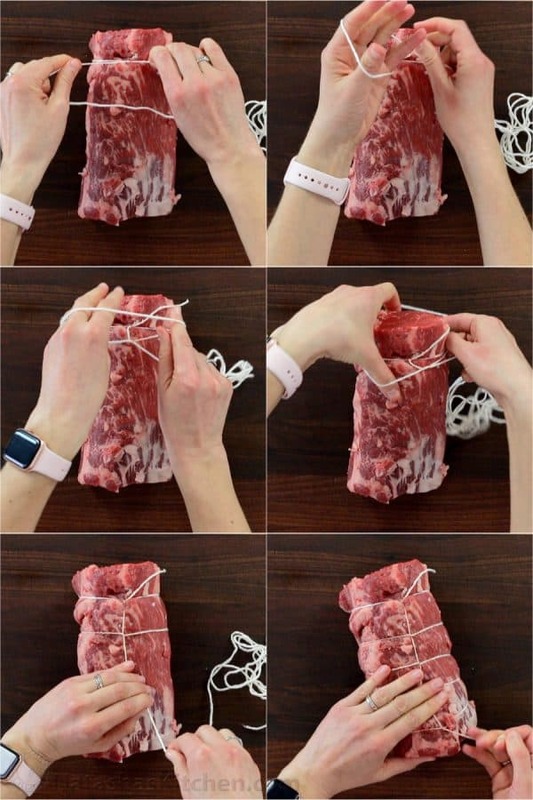 It makes the thickness more uniform and if you have a thin end on one side, you can tuck it under the tenderloin and tie to secure it in place, otherwise one end will be raw and the other over-cooked. 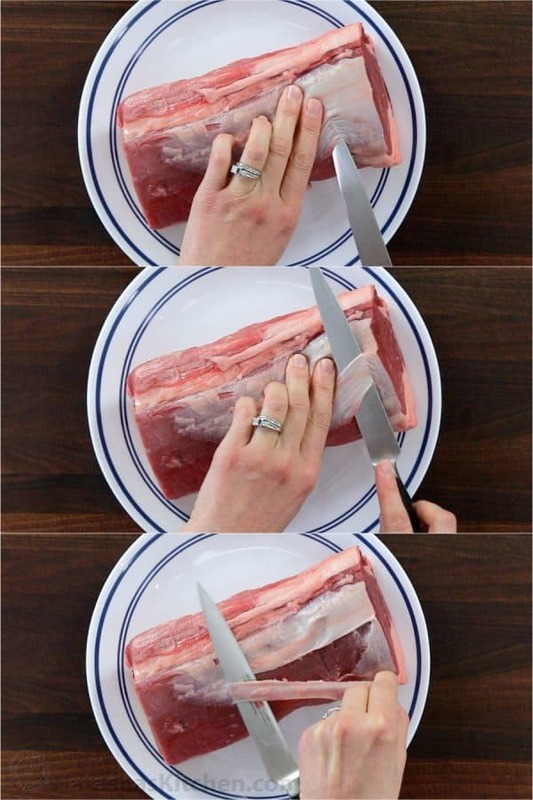 A butcher can do this for you. Watch the video recipe for a full demonstration. Whipped Mashed Potatoes – rave reviews, always! 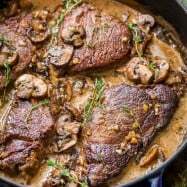 Make this and you will be known for your beef tenderloin! Years ago, my husband and I stopped going out for Valentines Day after a bad restaurant experience (the busiest and worst day to go out to eat in my experience), and we’ve enjoyed our date-nights-in ever since! Are you going out or cooking in for Valentines Day? I’d love to know what you’re cooking up! If I were to make this for a company and use like 2 or 3 tenderloins.. do I bake them in like a baking dish or do 1 piece at a time?